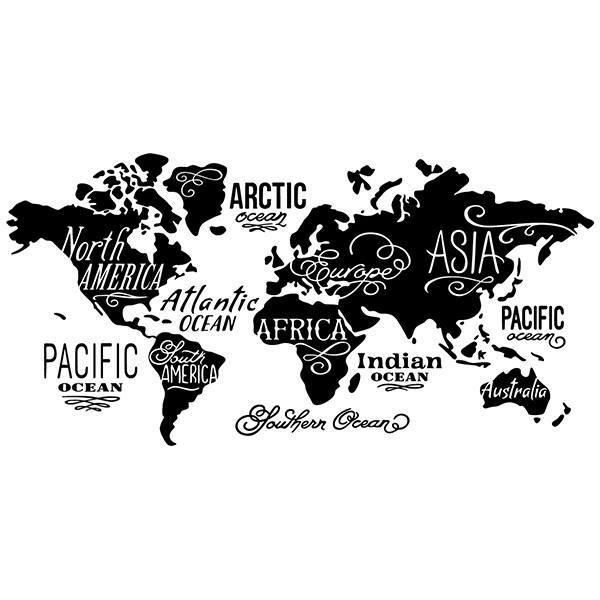 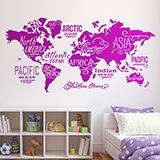 Wall sticker Map Mundi Oceans and Continents. 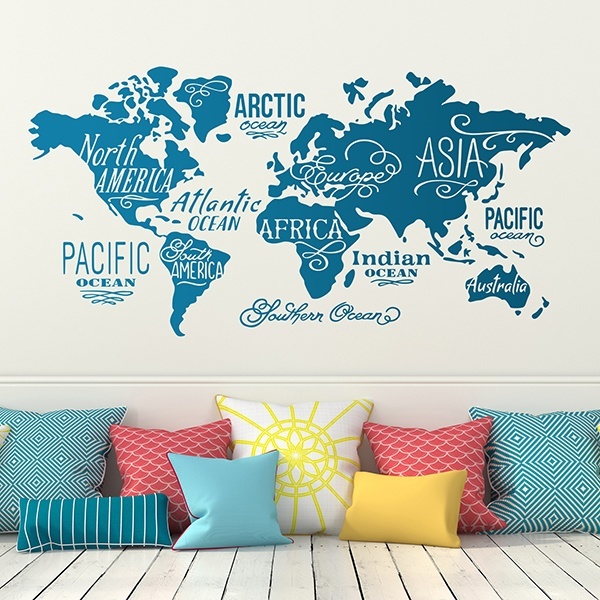 Very modern design of the world map with the names of the continents and oceans in english, with different typographies and a current and personal style. 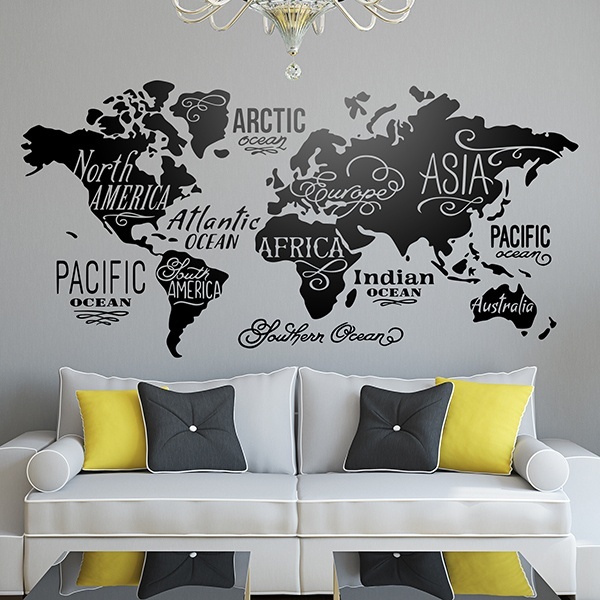 Beautiful composition for any room or living room of the house. 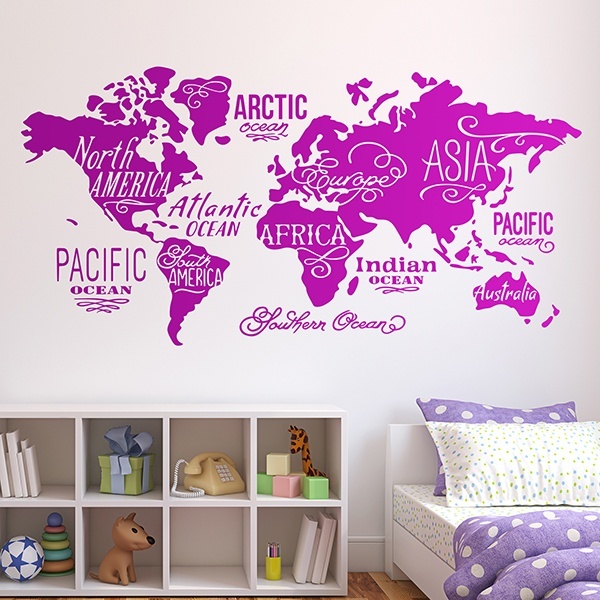 Size: 91 x 46 cm.